Truro has twelve car parks as well as two park and ride routes to make it easy to get into the city. Listed below are both the privately owned car parks as well as the Cornwall Council car park with the postcodes for Sat Nav users. All are pay and display with the exception of NCP High Cross, which is payment before exit. Disabled Parking - Please note Cornwall Council own most of the car parks in Truro. Blue Badge holders are allowed to park for free if they have a vehicle that is adapted or they have registered on the Cornwall Council exemption scheme. To register for this scheme you are required to submit an application in advance of your visit, for more information please contact Cornwall Council on 0300 1234 222 . Fairmantle Street (coaches only) Fairmantle Street TR1 2LW - daily charges apply. 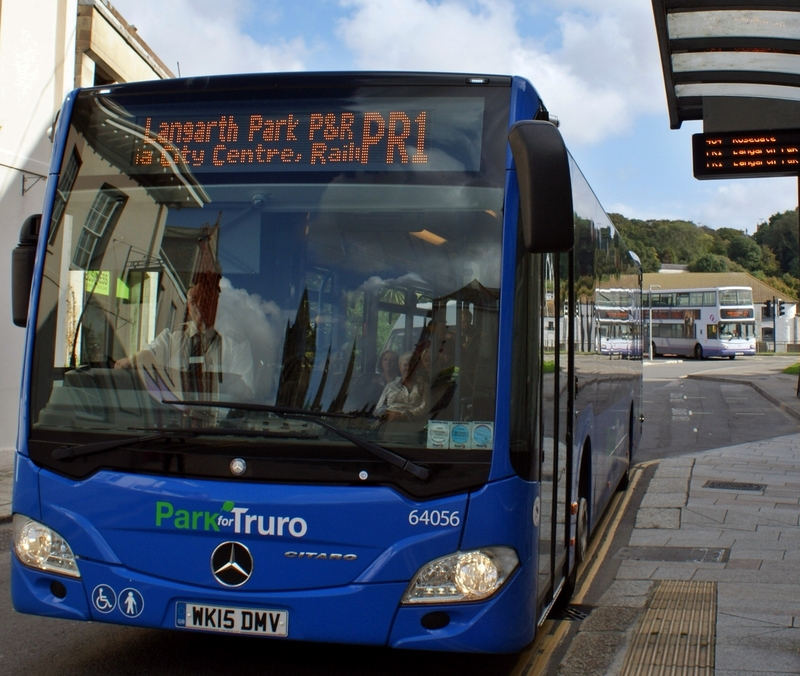 Truro has two Park and Ride services, real time passenger information is available along the route as well as having Wifi on every bus, making access to the city simple. If approaching from the A30 head towards Truro (A390) at the Chiverton Cross roundabout. There are signs for the Park for Truro site and an access road just before the Threemilestone roundabout. The site can also be accessed from Threemilestone and for people coming from the Truro / Falmouth direction on the A390 past the Royal Cornwall Hospital and Truro & Penwith College. The Tregurra site is located East of Truro near the junction of the A39 and A390 ( St Austell ) if approaching from the A30, head towards the A39 at the Carland Cross roundabout. There are signs for the site and an access road just after Truro livestock market. The site can also be accessed from the A390 when approaching from the St Austell direction.